AT&T U-Verse customers report "Emergency Alerts"
Many AT&T U-Verse customers across the country woke up to this emergency alert on their TVs. With the threats of Ebola and ISIS, Americans are arguably a bit on edge. 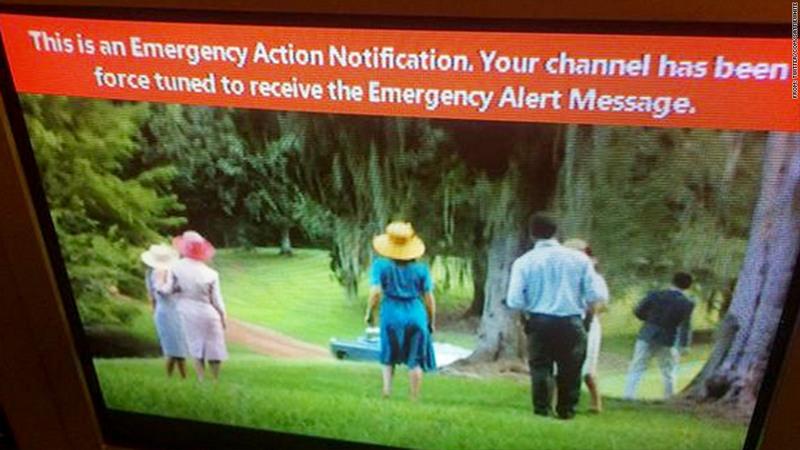 So it probably didn't help that many AT&T U-verse users saw a strange alert from the White House early Friday. Many U-verse customers across the country woke up to the curious message on their TVs. It read "this is an Emergency Action Notification." Viewers were forced to stay tuned to the channel. Customers were also saying that the alert stated it was requested by the White House regarding a national emergency. The message seems to have been sent in error. "We confirmed that there is no emergency at this time and we are investigating why this occurred," said an AT&T spokesperson. "We apologize for any inconvenience." Local NBC station KXAN in Austin reported that the alerts were affecting people in cities like Atlanta, Austin, and Detroit. The seemingly erroneous alert startled many users. Some consumers contacted their local stations to figure out what was going on. Others took to online forums and Twitter to both voice their concerns and to seek out further information.